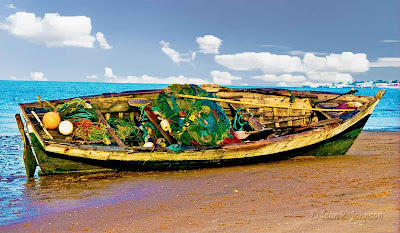 A typical fishing boat on Pemba Bay. The town of Pemba, Moçambique is on the peninsula in the upper right of the picture. Bet you don't see that much water in Niger. The diversity of the continent makes it so attractive. There's beauty in every part.